One of the most overlooked species in the fishing world, at least in my opinion, is the northern pike. In most areas, northern pike are not highly targeted. 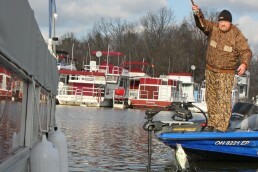 Other species, like bass, walleye, muskie, and even panfish are more pursued than pike. However, northern pike are one of my favorites. I enjoy them for a number of reasons. First, northern pike are usually caught casting. Pike fishing is similar to bass fishing in that you can catch them on lures and by usually casting shorelines, structure and weed beds. 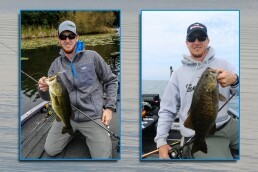 It’s an active style of fishing that is anything but boring. Another benefit is that their strikes are ferocious. Pike are not a timid fish. They attack and are fearless. 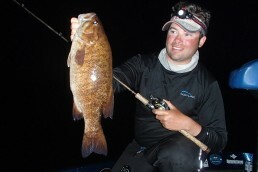 They are aggressive and will follow a lure all the way to the boat and strike right at the boat. Pike fight hard and will take drag from a reel, twist, spin, turn, and battle all the way to the boat. Another reason I like pike fishing is that pike are good to eat. Pike is a flakey, white meat similar to walleye and nearly as tasty. Some of the best shore lunches I’ve had have featured fresh-breaded pike over an open fire. Sorry, no chestnuts. While pike may not be a highly targeted species in the states, in Canada pike are a top prize. Why? One reason is that they get huge! Saskatchewan has an ideal climate for pike. The water in Saskatchewan is slightly acidic due to the surrounding coniferous forest and is also cooler and much cleaner than the states. As a result, Northern pike are healthy. They can live for 30+ years and grow to unbelievable sizes. 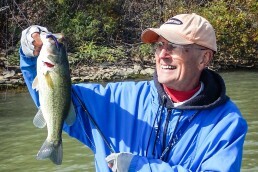 Even though trophy fish are never a guarantee, I have a place where your odds are better than average at catching one. Lloyd Lake Lodge in the northwest corner of Saskatchewan is one of those pike heavens. Derrick Uniat and his older brother Desi have owned Lloyd Lake Lodge for 10 years. Their grandfather was the one primarily responsible for them purchasing the lodge. 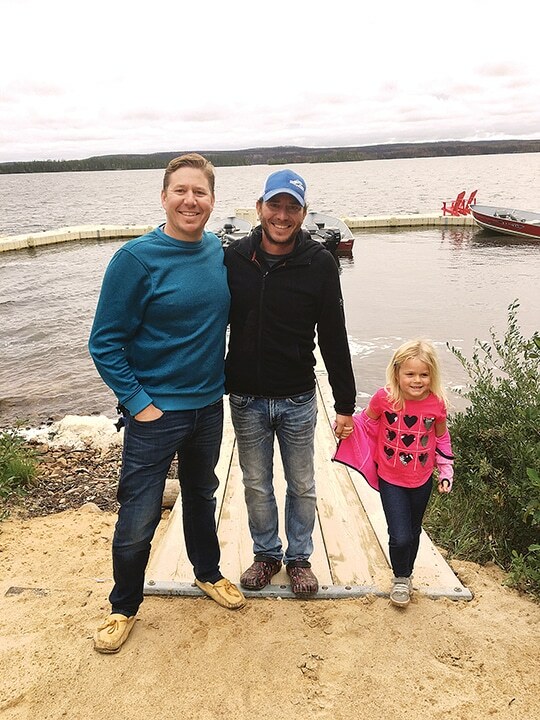 Derrick and Desi, along with their dad and grandfather, were longtime guests of Lloyd Lake from the time they were young boys. Their grandfather would, on an impulse, call the boys and quickly schedule a fishing vacation to get away from his hectic business. 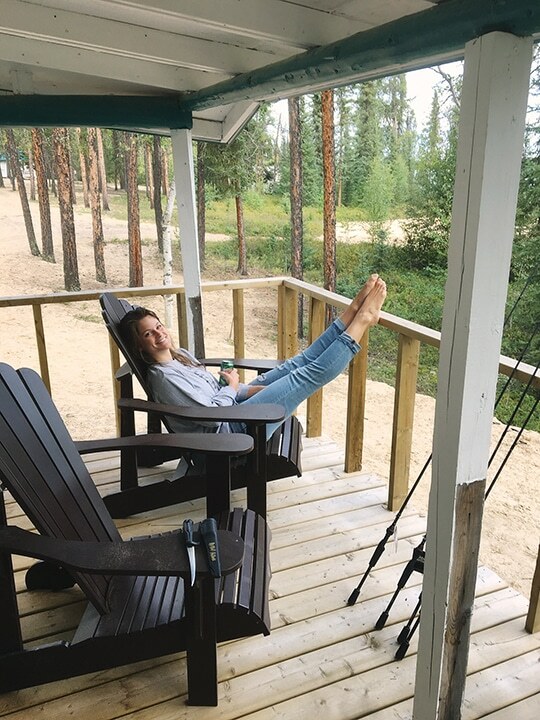 Their favorite getaway would be to share the amazing experiences at Lloyd Lake Lodge, learn about life from grandpa and also learn about nature and fishing from the Lloyd Lake guides. Because they grew up at the lake, Derrick and Desi know it backward and forward and inside and out. If anyone could put you on a trophy, it’s Derrick. Derrick, the younger of the two brothers, runs the lodge full-time. Desi has a full-time job teaching English just north of Edmonton, Alberta and works at the lodge when not teaching. I met them two years ago. We got along so well that they immediately became my Canadian extended family. There are some places where good friendships happen automatically. When you know it, it just clicks. These folks are the real deal. A nice feature about Lloyd Lake is that when you are there, the lodge becomes yours. At some lodges, the owner’s rules are so overwhelming that you don’t feel at home. Lloyd lake Lodge is not like that at all. Once you arrive, Derrick and Desi make your trip whatever you want it to be. I think it is a terrific trait in a lodge. When done correctly, guests wind up taking better care of the place because they seem to own a part of it. It becomes a home away from home. Our extended Canadian family Derrick, Desi and Emily. This past summer, my trip to Lloyd Lake Lodge was doubly special and one that I will treasure for my lifetime. My daughter has always been one of my fishing buddies. We have been talking about her joining me on one of my fishing/filming episodes for MidWest Outdoors Television for quite some time. 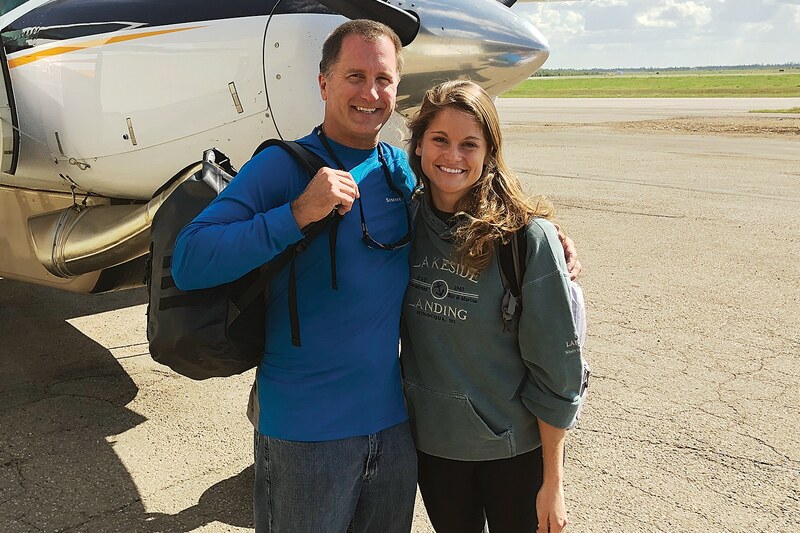 Due to timing, the excellent company that she works for, and the generosity of the Uniat family, Lauren had everything pointing in the right direction for her to join me at Lloyd Lake Lodge. It also happened that Desi brought his little, 4-year old, daughter Emily whom Lauren, I, and especially Dan Keith, our TV producer, all fell in love with. Emily joined us on a few of our shore lunches and entertained the entire crew. It was special to be able to meet more of our extended Canadian family. Derrick’s immediate goal was to have Lauren catch a trophy pike. I have to admit, it was my goal as well. As I’ve gotten older, and hopefully wiser, I find it much more satisfying to watch and help someone else catch trophies. Don’t get me wrong, I still enjoy catching them as well. But, to see someone you care about get the enjoyment out of it is much more satisfying. Derrick had no doubt that walleye fishing would be a “no-brainer”, so concentrating on catching a trophy pike would be the goal. 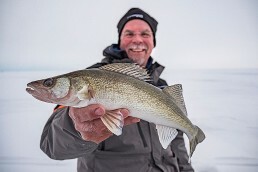 Whether walleye, northern pike or trout fishing (the three species that are most targeted at Lloyd Lake), it is pretty easy to catch hundreds of fish in a day. However, catching a trophy often requires a little more effort, knowledge and luck. So, due to Derrick’s mission of catching a trophy, our first spots would be Derrick’s tried-and-true trophy pike spots. Northern pike are pretty predictable. Find weeds and you can usually catch pike. Pike enjoy weedy bays and rocky points that lead into them. Most of Saskatchewan is connected by a few large river systems that flow into and out of lakes, creating thousands of bays and natural pike habitat. These river systems create oxygen-rich and fertile lakes where pike grow quickly. The rivers and feeder creeks also offer endless locations to spawn, resulting in high pike populations. 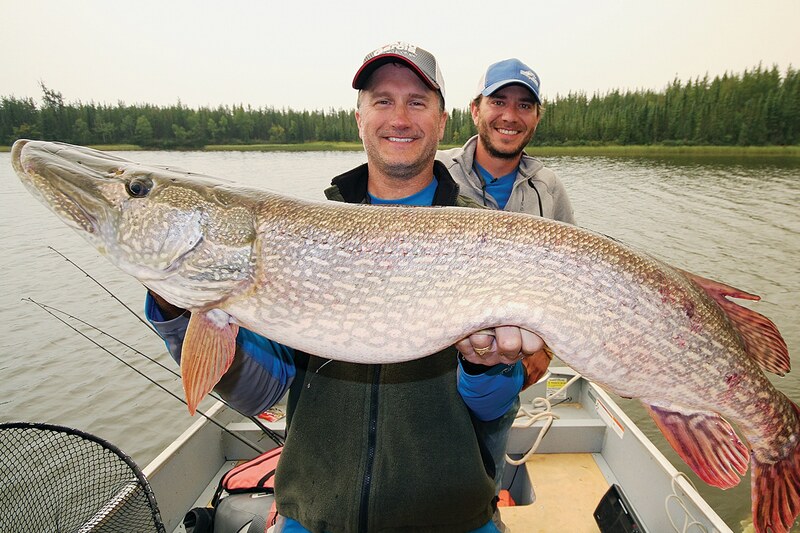 It all wraps together to form the perfect storm of trophy pike waters that is Saskatchewan. 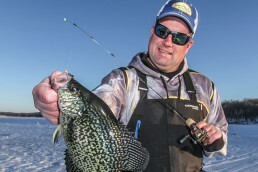 Pike feed on smaller walleyes, perch, smaller pike, ciscoes and whitefish. The ciscoes and whitefish are high-protein forage that allow pike to grow quickly in size. Saskatchewan lakes and rivers have plenty of walleyes, pike, and forage for northern pike to have an endless food supply. As kings of the lake, there is no other predator except themselves. Pike feed freely and without expending too much energy. In order to catch a trophy fish, there are so many elements that come into play. All have to go right in order to make it happen. The first element is to be in water that holds trophy fish. Statistics say that 5% of any given lake is where the fish are holding. So, the first key is finding that 5% of water. Derrick knew his spots. The first area that he took us to produced a 40-inch fish every single time he fished it until we arrived. We beat the water hard all day. Even though we caught fish until we were worn out, after the first day of hunting, it was trophy fish one, MidWest Outdoors film crew zero! A second element in catching a trophy is weather. While northern pike aren’t that susceptible to weather patterns, wind direction, water current, access to deeper water, water clarity and temperature all can play a role in catching a trophy. There are days where fish become more active than others. Our second day had us completely baffled. Everything seemed in order for a big bite day. 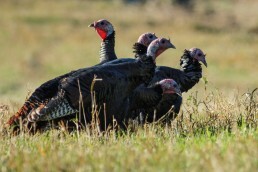 Even so, the end of the second day kept the score at trophy fish two, MidWest Outdoors zero. The next morning, I offered a little reverse psychology. I suggested we forget pike and go for walleyes. 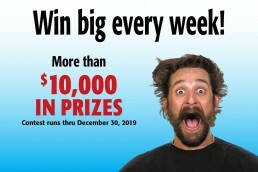 My thought was that perhaps we might run into a big pike hanging around and feeding on some walleyes. Sometimes superstitions work. 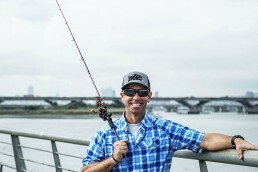 The main river channel was the decided location to fish. Derrick was right on in his earlier prediction that walleye catching would be easy. 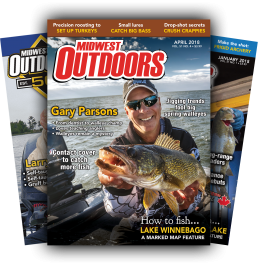 We caught walleyes on anything—trolling with Yo-Zuri divers and Berkley Flicker Shads, on jigs with Gulp minnow combinations, and casting lipless cranks like Warpigs and Vibes. If there was any other way to catch them, I think we could have. We did see a huge pike surface in one of the walleye holes, so after lunch we decided to switch back to pike. It was now the twelfth hour. 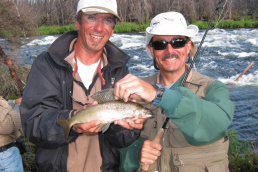 Spending quality time with family is one of the most enjoyable aspects of a fishing trip. In spring, pike like the back ends of shallow, marshy bays—particularly those with incoming creeks. Post-spawn pike like to hang out in shallow, wind-protected areas where sun penetration bakes the water on calm afternoons. For pike, usually afternoons are better than mornings. Pike don’t necessarily enter the shallows to feed, although they will certainly pounce on smaller pike or other forage fish that are present. They typically will feed just outside bays and then lay in the shallows to digest. 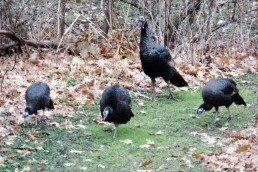 After digestion, they will forage again and hit anything that comes close. During summer and fall, they will transition to weeds and points outside of bays. As mentioned, find weeds and you’ll usually find pike. Our final option was a northwest bay that Derrick thought might be our best chance. An outside edge that featured a protruding point with some deeper weeds would be our hope. 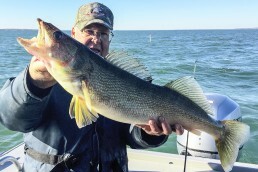 While trolling around casting spinners and spoons, we caught a lot of nice walleyes and midsize pike. That was a good sign to Derrick. We all hoped this area would produce. A third element to catching a trophy is having the correct gear. Everything from the right rods, reels and line to the correct baits will play into success. 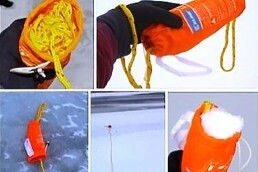 A good drag system on a reel is paramount. 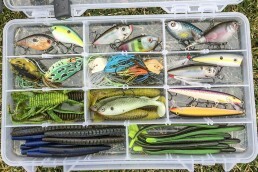 For lures, pike fishing generally calls for in-line spinners, wobbling spoons like Little Cleos and Dardevles, to shallow-running crankbaits and soft swimbaits. You also need to have leaders and heavier braided line, usually 30 to 40-pound test, for the best odds at landing a trophy. I switched to a Berkley Flicker Shad as I had success with it from my last trip to Lloyd Lake. Not 100% sure of why, but in order to catch trophy pike in northern Saskatchewan you do not need large baits. Maybe it’s due to them wanting a snack as opposed to a large meal, but big pike can be caught on smaller baits quite often. 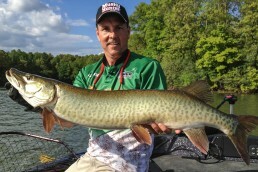 How many times do you hear about muskies getting caught by fishermen jigging for walleyes? It’s not a big stretch. Just as we were about to leave for another spot, my Flicker Shad stopped. I felt weight and some big head shakes. If you’ve ever seen a pike try and get rid of a lure in it’s mouth, they swing their heads side to side. You can usually determine a trophy by the feel of a good headshake. This one felt good. After the battle ended, we had our trophy—a 45-inch monster. After fighting the fish while drifting into the bay, releasing the fish and a few high fives, Derrick was interested in heading directly back to the point to try and give Lauren a chance at one. We arrived back at the point. On Lauren’s first cast, her rod doubled over. She felt it was probably another good one. The last element of catching a trophy is the ability to fight the fish correctly. I have to admit, that was one of the things going through my head as Lauren tussled with her fish. 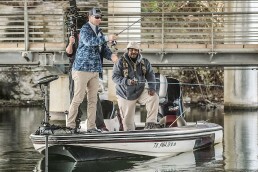 Allowing any slack in the line, having a drag set too tight, getting the line caught under a boat rivet, not setting the hook well enough, putting too much pressure on the fish, reeling up to the lure too far, all could have bad results for landing a trophy. As Lauren fought it skillfully, the big pike surfaced at the side of the boat. We were all excited at the sight. Derrick quickly swooped the net, trying to land the fish. Unfortunately, the rim of the net hit the pike and it jumped straight up about three feet out of the water at the side of the boat. Derrick clawed the air trying to bring the fish into the boat. It was one of the funniest and most enjoyable moments that I have ever had fishing. 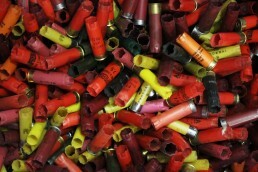 The only thing I can say is, watch for it on MidWest Outdoors Television this coming spring. 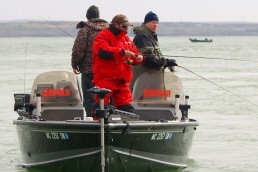 Saskatchewan offers an array of resorts and outfitters and has endless world-class pike waters. There is something for everyone and every budget.